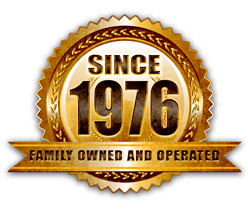 IGM Copy Products is a family owned and operated office equipment dealership with a full service staff. We have been serving our clients needs in Northeast Ohio for more than 35 years. The depth of experience in the personnel is highly unusual. Together we average more than 18 years of experience per employee. 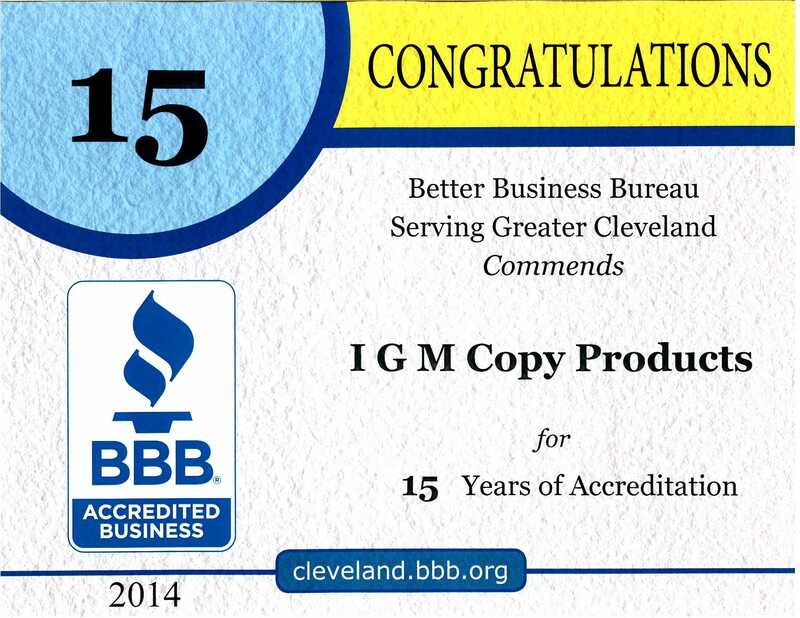 IGM Copy Products has a full administrative office, warehouse and staff centrally located in Painesville, Ohio. We are available to answer any questions you may have, Monday thru Friday from 8:00am till 4:30pm. To request Service or Supplies, please contact us using any of the methods listed above. I just cannot let another day go by without sending you this note. You have a wonderful staff. From Donna who answers your phones to Greg ‘the best service tech in the whole industry’ no seriously, that’s the truth about Greg! And Bill, who knows everything and his ‘silent partner’ 🙂 Josh, who wowed me when he started to talk to train me on the new Sharp. Finally to Jim Bevis, what a breath of fresh air. I am a one person office so you can imagine that I have had to deal with my fair share of ‘sales shpeels’, but Jim was just awesome! He was knowledgeable, and very entertaining, an excellent balance for someone in sales. Chuck, it’s good doing business with IGM, and your whole wonderful staff. Thanks for all your help. I love the new machines. – I just wanted to mention what a nice young man Josh is! I am glad he is our service tech.